The Windsor Park Hotel is in a charming, quiet, safe neighborhood with over 100 establishments offering shopping, art, entertainment, and restaurants with food from around the world. Embassies, majestic homes, parks, and tree-lined streets are a pleasure to see throughout the year. Guests can walk to the National Zoo or take the Metro to any location in DC. 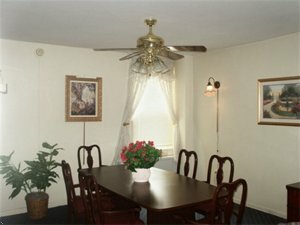 The property features standard guest rooms with choice of one queen, two double, or two twin beds. All rooms have a refrigerator and remote control television with HBO. The property features one bedroom suites with one double and one twin bed in the bedroom, separate living area with a double sofa sleeper, refrigerator, and a remote control TV with free HBO. Go to 395 North. Go across 14th Street bridge to I Street and turn left. Turn right on Connecticut Avenue going north to the intersection of Connecticut and Kalorama Road. Turn left on Kalorama and follow to the property. Take the Dulles Access Road to Route 66 and go east to Constitution Avenue. Take Constitution to 17th Street and turn left. 17th becomes Connecticut. Take Connecticut north, turn left on Kalorama Road NW and follow to the property. Take Washington Baltimore Parkway south to Interstate 95 West (Beltway). Take Exit 33 (Connecticut Avenue) south past the zoo and cross the Taft Bridge. Circle right to Kalorama Road NW to the property.